You will love the heated, kidney shaped pool (11m x 7m) with its sliding cover offering swimming (subject to unforeseen circumstances) from the end of April until the end of September, whatever the weather. The pool is ideal for beginners to experienced swimmers with a level plateau of 1.2 metres gently sloping to 1.8 metres at its deepest point. 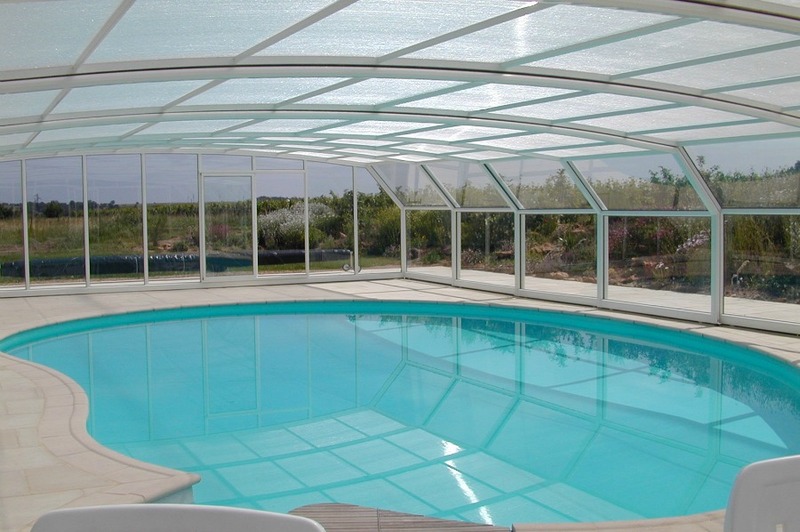 There is ample room either under the pool dome or outside to relax and enjoy the pool.